This week, the one year anniversary of the take down of Megaupload.com, Kim Dotcom has launched his new project, Mega.co.nz. Cyberwarnews.info is now reporting that Mega.co.nz’s Twitter account has been breached. It started with complaints of the site being inaccessible due to the amount of traffic the site was receiving. @KimDotCom then went on to tweet that he apologizes for the poor service quality as his servers where not prepared to handle such traffic for the start-up. 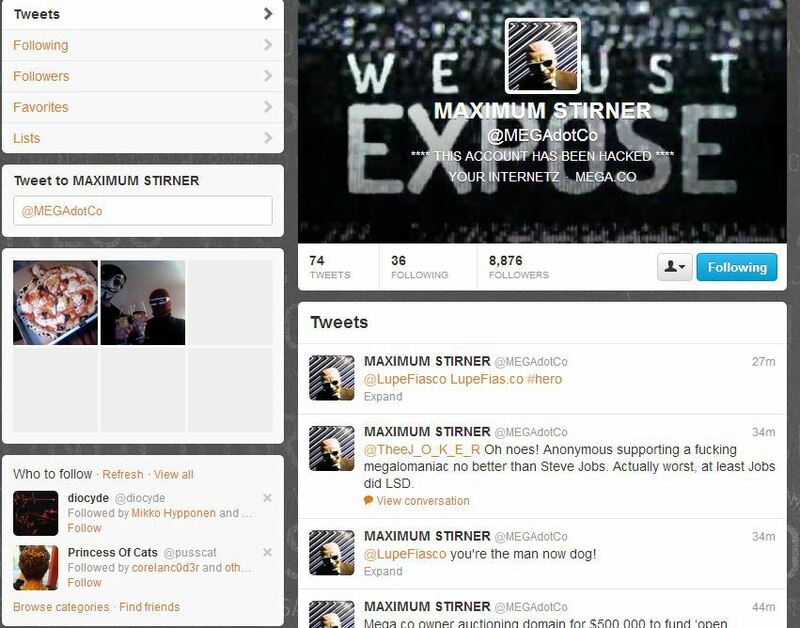 Now, hackers have penetrated a Twitter account affiliated with Mega, @megadotco posting statues and pictures.